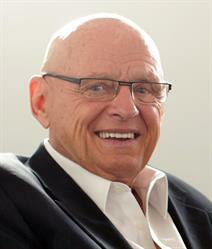 MISSISSAUGA, ON--(Marketwired - December 21, 2017) - It is with deep sadness that EXIT Realty Corp. International announces the passing of Bill "The Bald Eagle" Nasby on December 16, 2017 at age 89, in Comox, British Columbia, following a courageous battle with cancer. Nasby was known throughout North America and Australia for his "Creating Your Reality" workshops. Joining EXIT in its infancy in 1996, Nasby was one of the company's first Canadian and U.S. District and Regional Owners, partnered with now-Chief Operating Officer, Erika Gileo, and was instrumental in the company's growth. Raised in Depression-era Saskatchewan, he began working at age 10 and quickly learned the value of hard work and enterprise, buying 4 newspapers for 10 cents and selling them for 20. After joining the Merchant Marines as a youth and serving the last two years of WWII, Nasby returned from overseas and joined the First Battalion Princess Patricia's Canadian Light Infantry (airborne) and served approximately 14 months during the Korean War. He eventually joined the Royal Canadian Navy, volunteered for submarines and spent the next several years attached to the Royal Navy in the United Kingdom and later on the west coast of Canada on HMCS/M Grilse. Nasby came to real estate later in life and became a top-producing real estate agent with RE/MAX. He went on to teach, train and coach thousands as the Vice President of Personal Development for EXIT Realty Corp. International. He teamed up with daughter, Erica Nasby, and together they are credited with inspiring countless people to achieve their business and personal goals. "Bill Nasby was a mentor and dear friend to me," said EXIT Realty Corp. International's Founder and Chairman, Steve Morris. "I don't believe we will ever really know how many people his life impacted. Through Bill's tough love and guidance, real estate agents not only became better producers, but also better spouses, friends, parents and community leaders -- they became better people. When their lives changed for the better, they positively impacted the lives of those around them. He was a force of light and love and we celebrate him." Anyone whose life was positively impacted by Bill "The Bald Eagle" Nasby is invited to submit their reflections in a one-page email (typed rather than an image or PDF please) to exit@exitrealty.com. The comments will be compiled and bound as a gift for Bill Nasby's family. About EXIT Realty: EXIT is a proven real estate business model that has to-date paid out more than a third of a billion dollars in single-level residual income to its associates across the U.S. and Canada. EXIT Realty's Expert Marketing Suite™ including geolocation Smart Sign™ technology gives home sellers the edge in a competitive marketplace. A portion of every transaction fee collected by EXIT Realty Corp. International is applied to its charitable fund and to-date, $4 million has been pledged to charity. For more information, please visit www.exitrealty.com.